Bright Medi-Weld Appliances excels in rendering a qualitative range of Exposure Meter, which is offered to the clients at leading market prices. The Tools are highly appreciated by Construction Engineers, Professionals, Students, Researchers, Govt.Agencies etc. We have a range of latest Engineering Tools which are Simple to use, Less Time Consuming, Accurate & suits your application. 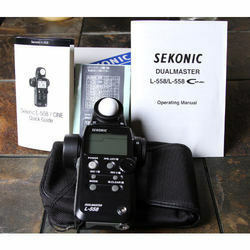 Item IncludesL-308S Case, AA 1.5 volt battery, Strap, Syncro Terminal Cap and Lumidisc w/ case. 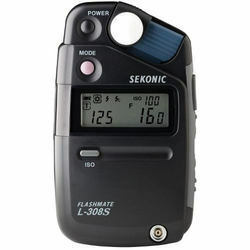 Type: Digital exposure meter for ambient and flash light. Light Receiving Method: Incident light and reflected light. Receptor Incident Light: Convertible to flat diffuser (Lumisphere in down position). Receptor Reflected Light: 1 degree spot with display in finder. Light Receptor Element: 2-Silicon photo diodes (incident and reflected). Item Includes: L-398A Case, Strap, Lumidisc, Lumigrid and High Slide. Item Includes: i-346 Case and AA 1.5 volt battery. 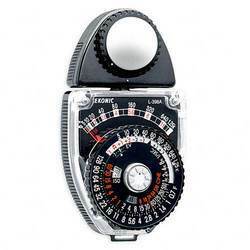 Luxometro direct measurement in Lux or industrial film for use. It has swivel and easy to read scale. 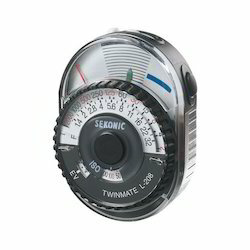 Selenium photocell, does not need batteries. Accuracy : ± 10% (tested by the standard parallel-light tungsten lamp color temperature of 2854 ° K) without including the resolution for the meter (the minimal value scale deserves 1 / 2) in this accuracy. 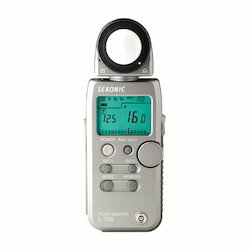 The Sekonic L-208 is a compact and lightweight analog incident/reflected shoe mount meter. It was designed from the start for one-handed operation. To have it be even less obtrusive, you can mount the L-208 on your cameras hot-shoe, or bracket, by using the included accessory shoe adapter. 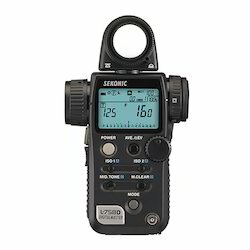 Designed originally as a meter for entry-level shooters, the L-208 functions perfectly as a compact, ambient backup meter for photographers of any skill level. 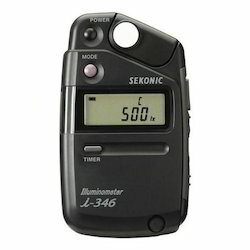 Its incredibly economical size makes it easy to carry in a pocket for double-checking readings from your primary meter, or handing to an assistant for a second reading. 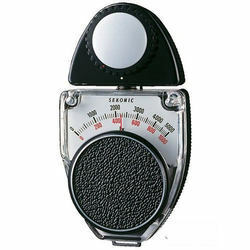 After releasing the measurement button, the Hold-and-Read' mode locks readings for 15 seconds, allowing for extended exposure evaluation time. 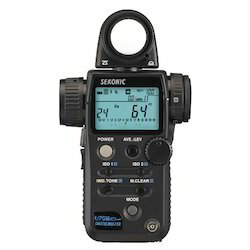 This gives assistants time to show photographers their readings The L-208 has an impressive 33-degree acceptance angle in reflected mode, ensuring an accurate reading of light sources. 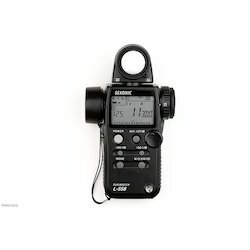 Looking for Exposure Meter ?